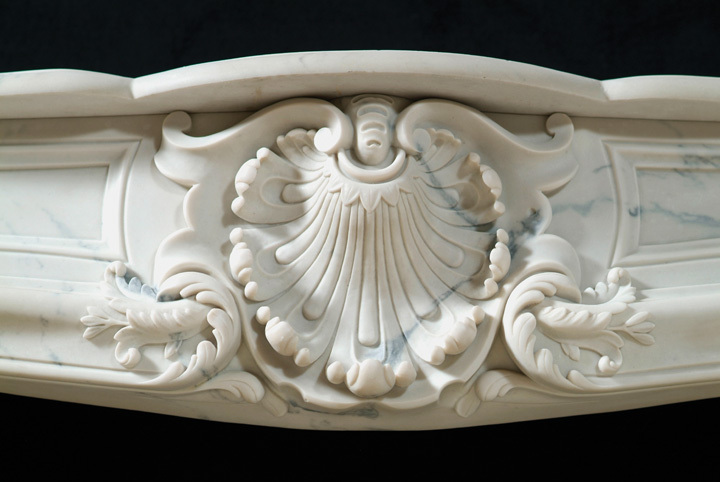 The marble mantels in our Heritage Mantel Collection are all about authentic style, be it Italian, Greek, English or French. 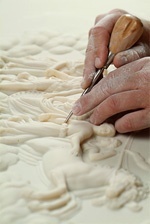 Featured in grand estates and other significant and historical buildings across America, such as the Mayflower House in Lake Forest, Illinois, to the reinvigorated Fort Conde historic residential district in Mobile, Alabama, master craftsmen create these exact reproductions of carved antique mantels one at a time with all the hairline details that give our mantels the look, feel and character of the original in a process perfected and used exclusively in our factory. 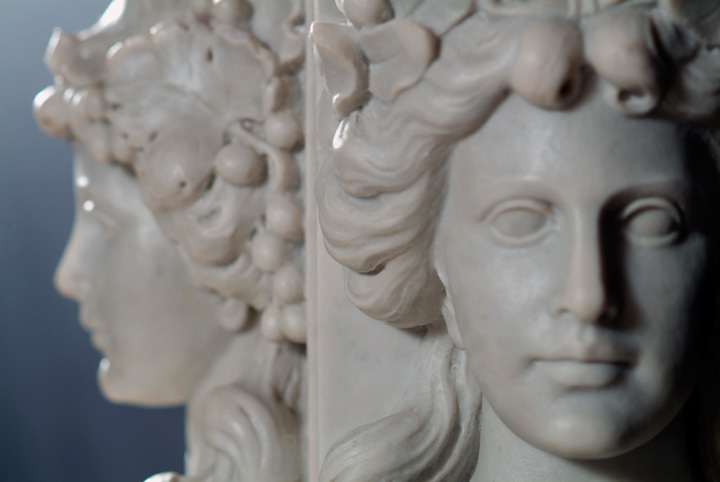 For over 40 years we have scouted the world, going to auctions and acquiring some of the most beautiful hand carved antique marble mantels representing the key European styles, ( French, Italian, Greek and Roman) and the major architectural periods from each country. 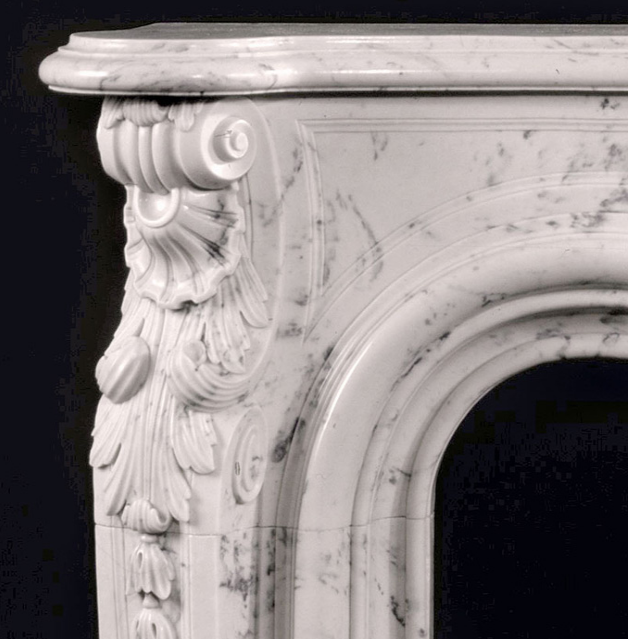 Our cratsmen painstakingly created an exact mold of each piece in the mantel, capturing all the details including hairline fractures and minor aging. 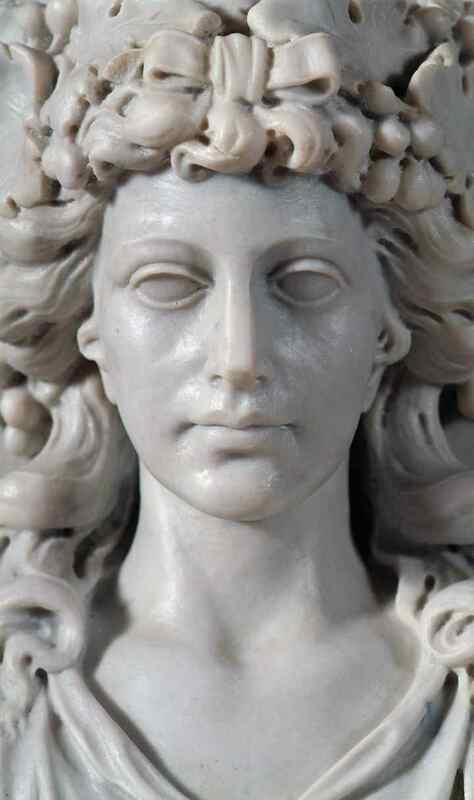 From these molds we are able to use a proprietary combination of skilled casting and hand crafting techniques to create a reproduction that once installed is challenging to differentiate from the antique original. 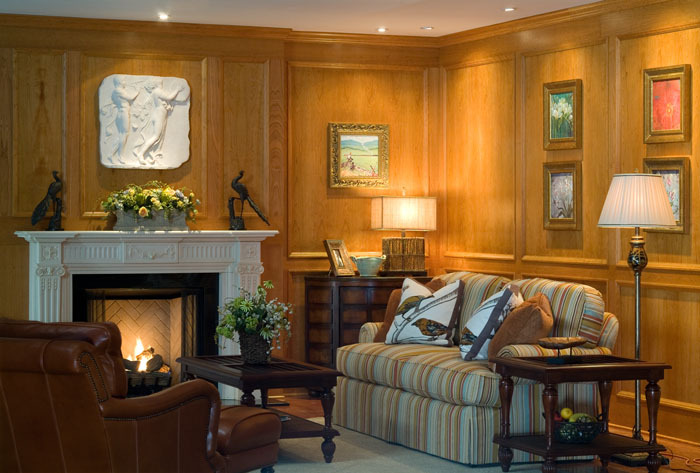 In accordance with our environmentally friendly philosophy, we build mantels as they are ordered, typically with a 4 - 5 week lead time. 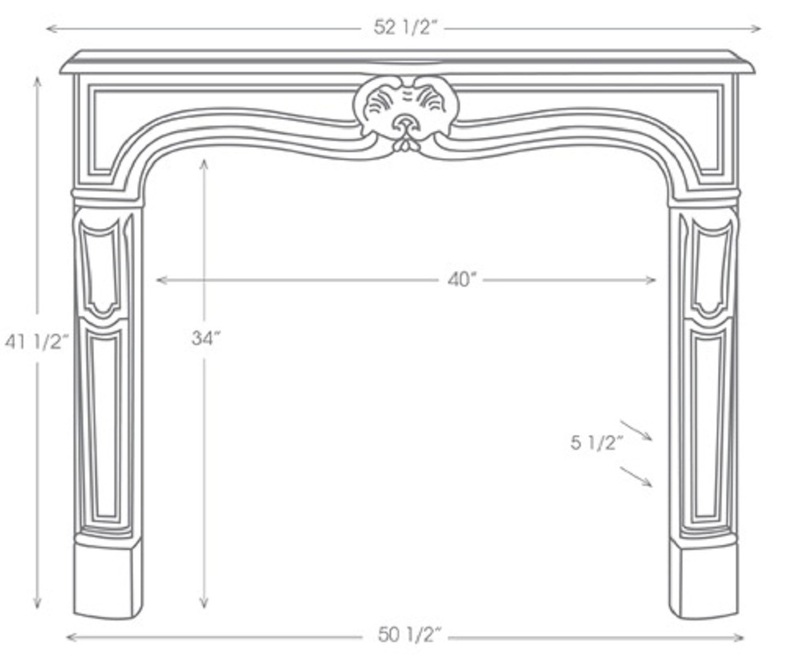 Also, a few of our mantel designs allow for a limited amount of customization (e.g., increased mantel leg lengths, Leg Inside Returns) Regretfully, we are not able to alter the shelf length or opening width dimensions, but please contact us for more details. 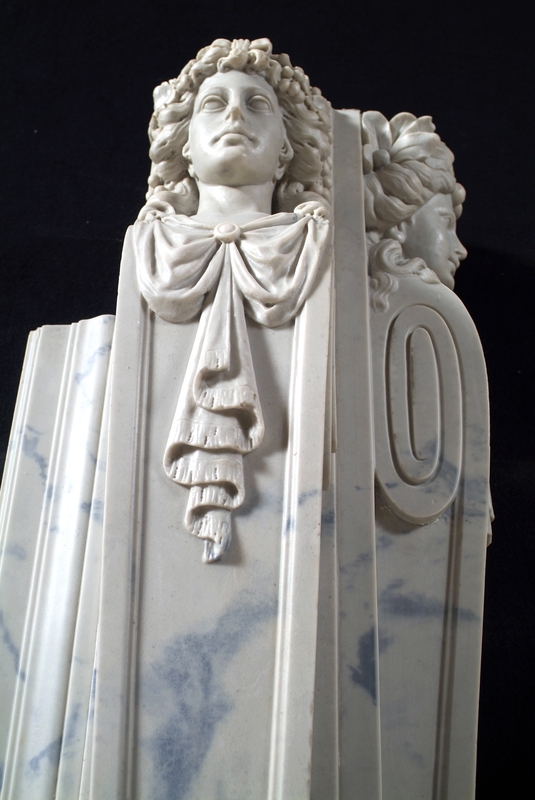 Made in the USA, our classic and timeless marble and limestone reproduction mantels make a refined statement about your style! 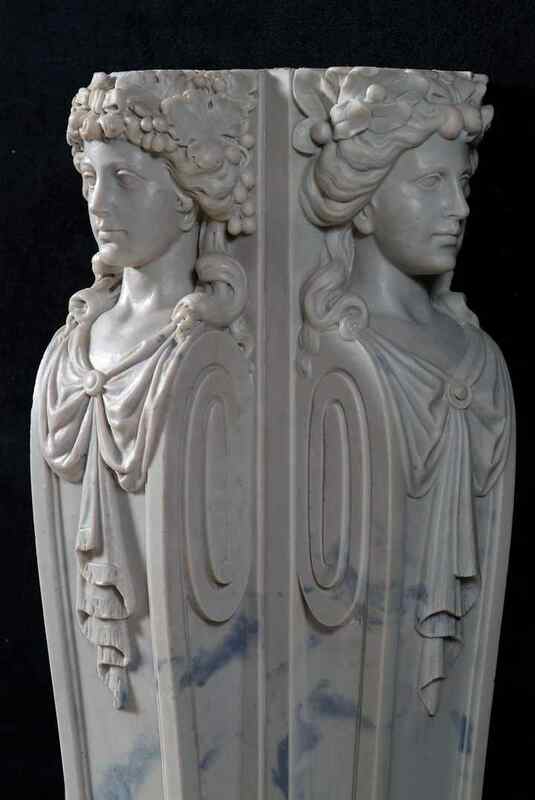 Please scroll to the bottom of this page or visit our Marble Mantel Gallery for many large, detailed photographs of our Marble Mantel Collection. 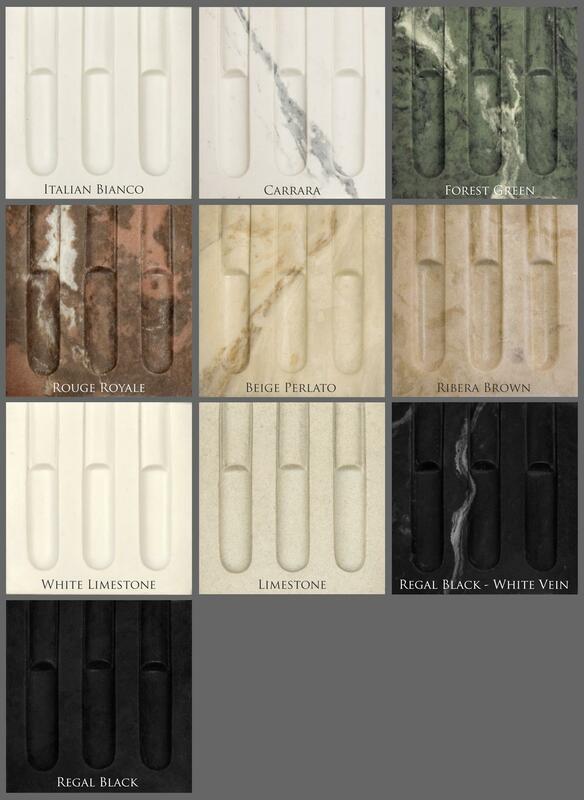 Order Marble Samples. 99% of the raw materials in our marble mantels and our packaging come from renewable or reclaimed resources and in accordance with our environmentally friendly, green philosopy, we build our marble mantels to order with short 3-4 week lead times, which lowers our loss and scrap rate; another green way of running production. We are always happy to work with our clients on customizing the stone coloring and veining, to work with other items in their rooms. Take our Carrara Marble, for example ... if you want carrara with a bright white background and grey veining, we can do this, and we can also create carrara with a grey-tinted background with darker grey veining. Additionally, we can create grey veining or blue-grey veining with our carrara marble. We are excited to work with you on these customization requests! 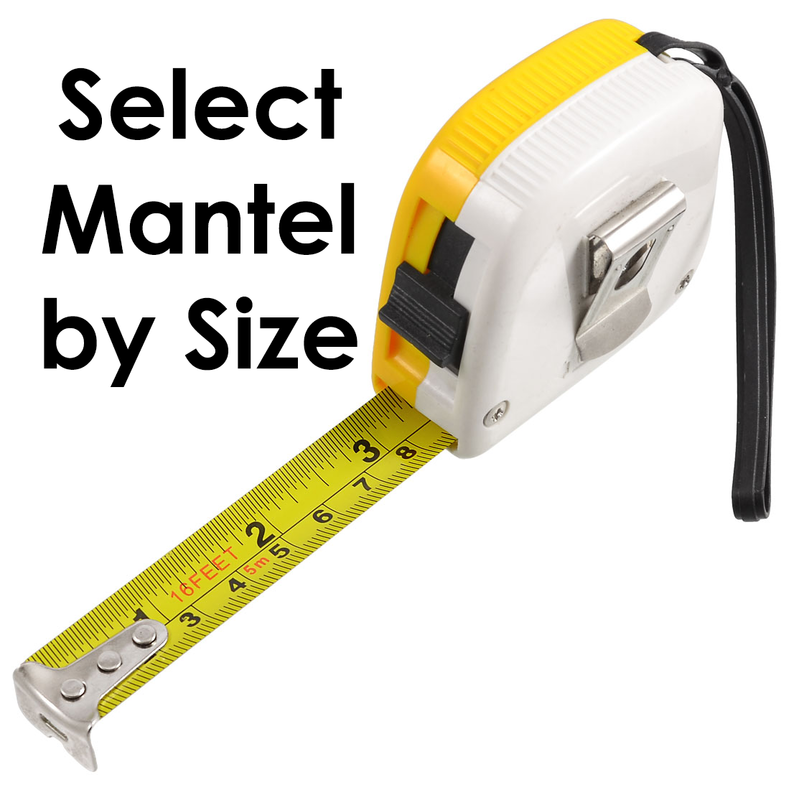 Mantel Installation Instructions. 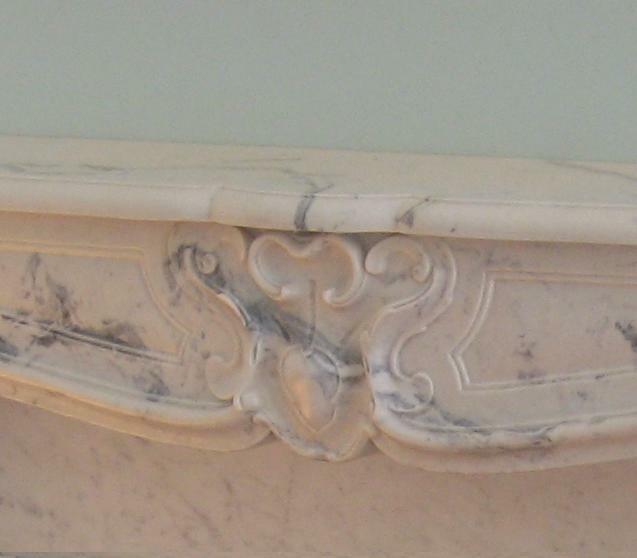 How to install our Heritage Marble Mantels.